Mermaids and Dragons are mythical creatures that don’t seem to make sense to me. Don’t get me wrong I don’t hate them or anything but I’ve read so few books about both that I’m kind of indifferent to them. Originally I had no intention of picking up Of Poseidon but after some twitter peer pressure I gave in and honestly I probably should have stuck with my original instinct. Of Poseidon begins interestingly enough Emma and her best friend are at the beach when they encounter a total hottie and his rude sister. The something totally unexpected happens and I think the story is going to really start there…but it doesn’t. 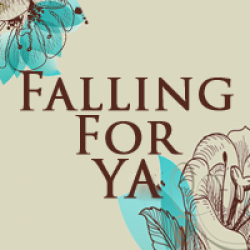 Instead the story becomes your typical insta-love, high school drama, overly possessive guy novel this time with mermaids. Emma has gone through a lot for her age, losing those closest to her, and having a bad relationship with her mother you’d think she would be an interesting character but to me she was just another Mary-Sue type lead. I never really understood her choices one second she was completely against talking or going near Galen and then the next she was all about they guy. That brings us to Galen, Mr. Syrena (mermaid) Prince, himself. He was the typical brooding, rich, super hot, overly-protective, male lead. When I was reading about him I kept getting déjà vu, he was just a carbon cut out of every other YA male lead on the market. The one redeeming thing about this book was the twist at the end that leads me to believe the next book will have more action and more surprise twists and turns. Unfortunately, for me the twist came too late and I have no plans to pick up the sequel. Overall, I can see why other people liked this book. 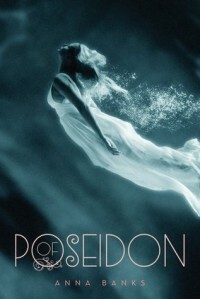 It has all the requisite elements for a hit, hot boy lead, drama, a female lead that was just relateable enough, but for me there were just too many similarities to other stories for me to truly enjoy Of Poseidon.